ZephIR Lidar, the industry-leading wind lidar manufacturer, is proud to announce that its flagship system, ZephIR 300, has been successfully verified against a fully IEC compliant met mast at the Lelystad Test Site. 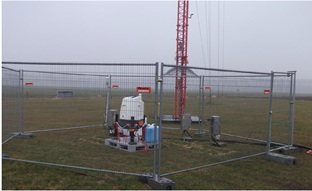 Figure 1: ZephIR 300 deployed at Test Site Lelystad during its verification. The 81 meter MM02/03 mast is equipped with cup anemometers at heights of 40 m, 60 m and 81 m. It also has vanes at heights of 76 m and 79.5 m for wind direction measurement. The ZephIR 300 was collecting wind data at 40 m, 60 m and 80 m between 19th March 2013 and 11th April 2013. Ecofys WTTS provides high quality wind measurement services based on its 15-year experience. Since its foundation in 2010, Ecofys WTTS is also the operator of the largest site for wind turbine prototyping testing and certification in Europe, located in Lelystad in the Netherlands. Ecofys WTTS is a subsidiary of Ecofys, a consultancy company with an international track record of 30 years in the wind energy sector. Our aim is to serve our clients with cutting edge wind measurement technology prepared for future international standards. With safety and quality first, we provide front running solutions to our clients. Ecofys WTTS is accredited by DNV according to ISO 9001:2008 quality standard for all its activities. Visit www.ecofyswtts.com for more information.